Many know Mike Bickle as the founder of the International House of Prayer, a Spirit-empowered, 24-hour prayer movement across the globe. If you listen to any of Mike's sermons, you quickly pick up on his fiery love for Jesus and his passion for the gifts of the Spirit. But what fewer know about Mike is that as a young man—newly saved and zealous to go into ministry—he actually preached against charismatic theology. 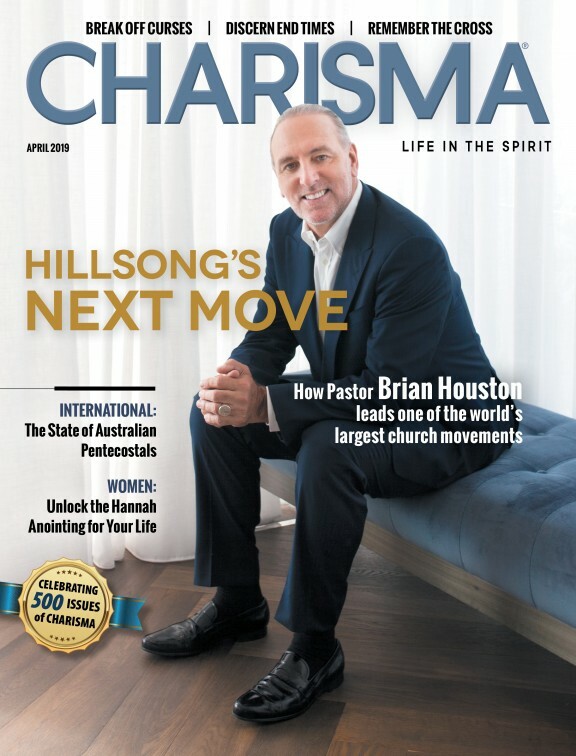 "Here's why I didn't like the charismatics," Mike says. "The charismatics I knew in Kansas City—and this is a really negative stereotype and it's a bad attitude—but they didn't love the Bible, at least the ones I knew. They didn't love witnessing, and they didn't love holiness, in my judgmental, short perspective." Mike, only 20 years old, didn't believe there was a second baptism of the Spirit after conversion, and he certainly didn't believe in speaking in tongues or prophecy. But then God did something totally unexpected. He provided Mike a pastoring opportunity in a rural church of about 30 to 40 people. But what Mike didn't realize until six months into his role is that the church was passionately charismatic. Mike found himself in a conundrum. He was completely against what charismatics stood for, and yet he was pastoring a church full of people who were zealous for Jesus, His Word, holiness, witnessing—and the gifts of the Spirit. "I can't really write them off as false Christians," Mike recalls saying to himself. "They're real! So we made a deal that if they didn't make me do charismatic stuff, I would let them do it in the home groups. So we made a deal, and it just went on from there. I got more comfortable with it, and my prejudices and stereotypes fell apart. And over the years to come, it just became clear to me there's a whole lot of the Holy Spirit's ministry that was a lot more than I understood." Now Mike teaches people around the world how to have a vibrant, dependent relationship with the Holy Spirit. Not only has his around-the-clock prayer ministry grown to be one of the biggest prayer movements in the world, but countless people have learned to deeply enjoy prayer on account of his teaching. I've known Mike since the 1980s, and one of the things he told me that has always stuck with me is that he had to learn how to make prayer enjoyable. For many Christians, prayer can seem like a dry obligation instead of a delight, and Mike says it was easy for him to feel that way too at one time. But then God taught him something interesting. "I got the word [enjoyable] from Isaiah 56, where it says, 'I will make my people joyful in the house of prayer for all nations," Mike says. "So I took the word 'joyful' and made it 'enjoyable.'" One of the biggest ways to turn prayer into a delight, Mike says, is through worship. He says this is key to IHOP's two 12-hour prayer meetings each day. Over the past 20 years since its founding, IHOP has never once stopped its worship, since worship teams overlap for about three minutes when they transition. "If you get anointed worship going and the prayer is together with that, the prayer is way more enjoyable," he says. If you struggle to find joy in your prayer life, I encourage you to try incorporating worship into those times of prayer. If this is an area you would like to grow in, I suggest you read Mike Bickle's book on the subject, Growing in Prayer. I have found his teachings and suggestions both insightful and practical. To hear more of Mike's compelling stories—including how he got saved despite growing up in a non-Christian home—listen to my in-depth interview with him below. And be sure to subscribe to my new podcast, "In Depth With Stephen Strang," at cpnshows.com. If you enjoy my podcast, rank and review it on iTunes, Google Play or Spotify.